Last year, YIMBY’s pipeline report showed a dramatic decrease in new building filings, with 2015’s multi-family count of 32,702 units falling precipitously, to 19,356 in 2016. Fortunately, the hemorrhaging of pipeline additions has nearly come to a complete stop, and 2017 saw filings for 19,180 multi-family units, a drop of under one percent. The full report, covering all 2,030 new building applications filed last year, is downloadable in Excel format at the following link. The momentum of new filings varied greatly by borough. Including single/two-family homes, Manhattan’s drop was the worst of all, with units entering the pipeline falling from 4,193 to 2,465. Numbers in Queens also continued to fall, dropping from 5,981 to 5,154. Staten Island also saw a sharp decrease in terms of percentage losses, dropping from 831 units down to only 514. While 2016 saw declines across all five boroughs, and that continued in the majority, both The Bronx and Brooklyn saw an uptick in applications, which would seem to portend an end to the massive decrease following the filing frenzies in both 2014 and 2015. The Bronx’s number rose from 3,919 units in 2016 to 5,086 in 2017, and Brooklyn’s new construction market also began to gain traction after seeing the biggest loss of any borough last year, with its figure rising from 6,449 units to 7,174. The trend across the Five Boroughs would seem to indicate an impending rising tide in terms of new construction, bolstered by DeBlasio’s efforts towards building affordable housing. Both Brooklyn and The Bronx lead the city in this regard, with neighborhoods like East New York and Brownsville gaining traction in 2017. The Bronx Boom was substantially more dispersed, and much of the borough is now seeing substantial mixed-income and affordable housing development. 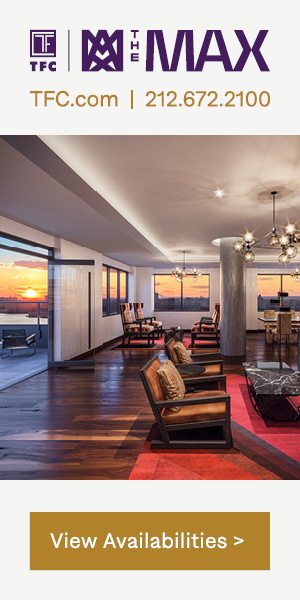 Besides the stabilization of New York City’s multi-family sector, which is still at levels above the non-boom-years of the early 2000s and 2010s, data shows that the hotel boom has also continued apace. New rooms entering the pipeline totaled 4,753 this past year, registering a drop from 2016’s figure of 5,653. Even with the drop, the flux of new supply remains extraordinarily strong, resulting in the City’s push for restrictions on new hotels in M-1 zones. While tallying unit counts is probably the best way of gauging overall supply entering the pipeline, other metrics also paint an interesting picture of the continued evolution of the city’s housing market. Notably, the height of pipeline entries has fallen rather dramatically. The frenzies of 2014 into 2015 saw supertall after supertall enter the pipeline. While that number dropped to only one in 2016, it fell further, to zero, in 2017. More importantly, the number of 500-foot-plus entrants was also halved, from ten down to five. With the market picking back up in Brooklyn and The Bronx, and slackening further in Manhattan and Queens, this is not completely surprising. Long Island City and Manhattan have added the vast majority of the city’s skyscrapers to its skyline over the past few years, however, only two 500-foot-plus residential towers entered the pipeline in each respective area over the past year. 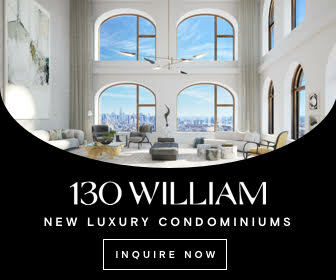 SOM’s 401 West 31st Street, one of the Manhattan West towers, led the pack at 849 feet to rooftop, while Long Island City’s 29-55 Northern Boulevard and 52-03 Center Boulevard followed, at heights of 710 feet and 587 feet, respectively. More important than the overall decrease in new applications’ height, is the shift of the very tallest entries to Long Island City. 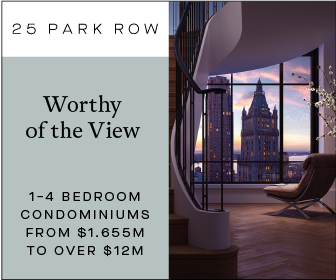 With 2/3 of the tallest entries slated for Queens, the borough is now punching well above its normative weight when it comes to LIC’s developing skyline, and even in a market that has tended towards softness, apartment buildings have continued sprouting to ever-increasing heights. Rounding out the list of this year’s oddities is the only “education” entry on the list, which clocks in at the sixth-tallest application overall. In fact, 61 DeKalb Avenue, in Downtown Brooklyn, would possibly become the tallest dormitory in the country. With regards to 2017, more of the same is likely, if not worse. As new development applications have continued to plunge, both the governor and mayor have focused on fanciful vanity projects like creating unrealistic renderings for expansions and renovations at LaGuardia and John F. Kennedy airports, as well as Penn Station. With the Second Avenue Subway’s costs beyond those of any other line on Earth, government continues to spend the city into oblivion, and plans for the latest round of supposed improvements seem unlikely to leave Cuomo’s imagination. “More of the same” is indeed what occurred last year, and Cuomo exceeded predictions, issuing another round of imaginary pie-in-the-sky improvements last week that included a tunnel between Long Island and Westchester underneath Long Island Sound. 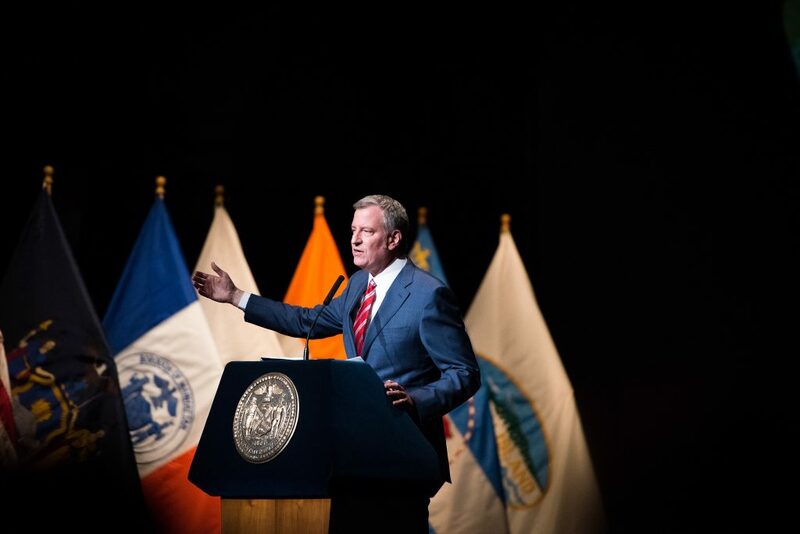 As the homeless crisis worsened further and infrastructure continued to deterioriate, it has become increasingly clear that the Governor has become disconnected from the reality on the ground in New York City. Time to man up, Cuomo! Photo by Zack Seward. Fortunately, and to the chagrin of many, it seems DeBlasio’s push for affordable housing has actually counteracted some of the worst impacts of Cuomo’s increasing ignorance, as pipeline numbers from both The Bronx and Brooklyn now confirm. 2018 seems unlikely to yield any dramatic changes. DeBlasio’s affordable housing push has gained momentum over the past year, and with the City Council now re-organizing around a speaker who isn’t keen on granting members the freedom to deny new housing to their constituents, it would seem that time is on the Mayor’s side. On that front, both Brooklyn, The Bronx, and possibly Queens could continue to see rising new unit counts. On the market-rate front, things may not be quite so healthy. However, the reduction in pipeline entries since 2014 may finally give some breathing room for future entrants by the end of this year. 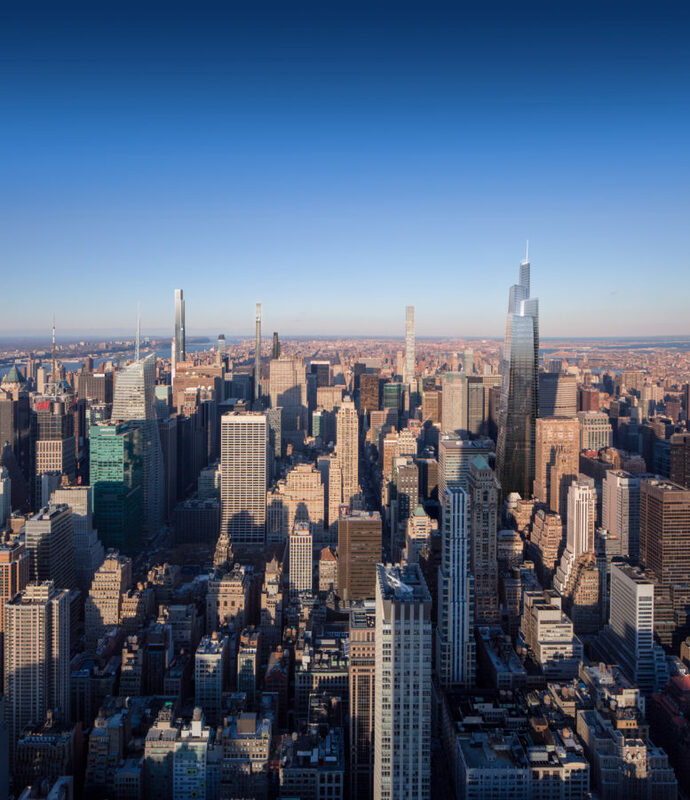 There is a veritable flock of cranes across the Downtown, Hudson Yards, and 57th Street skylines, as the permitting boom of years past finally echoes above and beyond the existing cityscape. 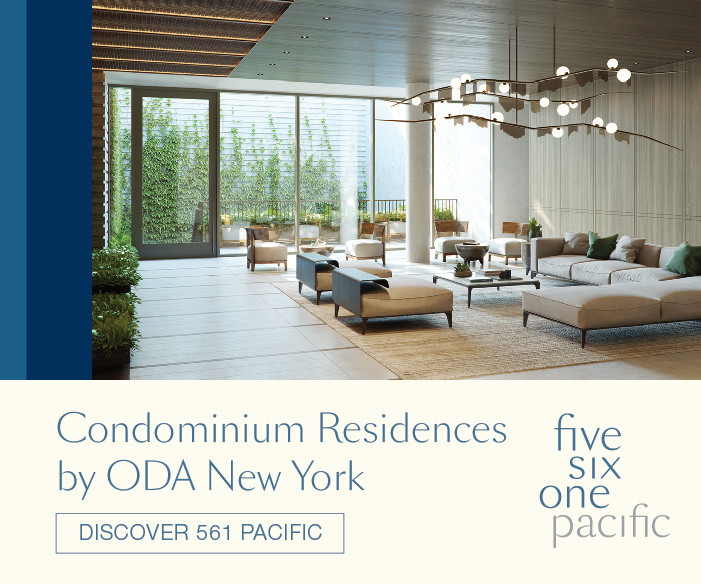 Projects like 217 West 57th Street, 111 West 57th Street, One Vanderbilt, and everything over Related’s Eastern Railyards will either top-out or come close by the end of the year, and buildings like 220 Central Park South, 111 Murray Street, and 520 Park Avenue have already reached that milestone. Given the slacking of the pipeline across this segment in both 2016 and 2017, there appears to be some breathing room finally opening back up for future additions. 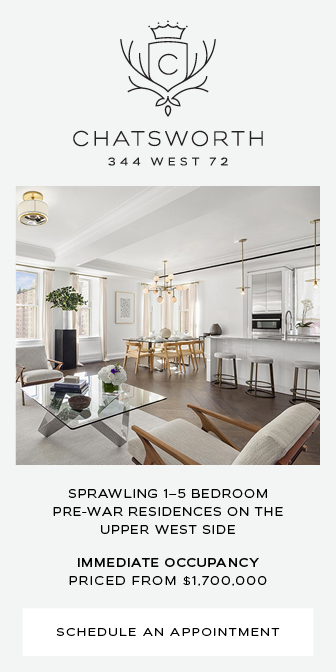 These may not begin winding their way through the Department of Buildings anytime soon, but by the end of the year, and likely by 2019, the supply shock of so many new supertalls is likely to wane as New York’s population of both ordinary citizens and oligarchs continues to swell. All in all, things actually seem to be turning a corner after two consecutive years of enormous losses. 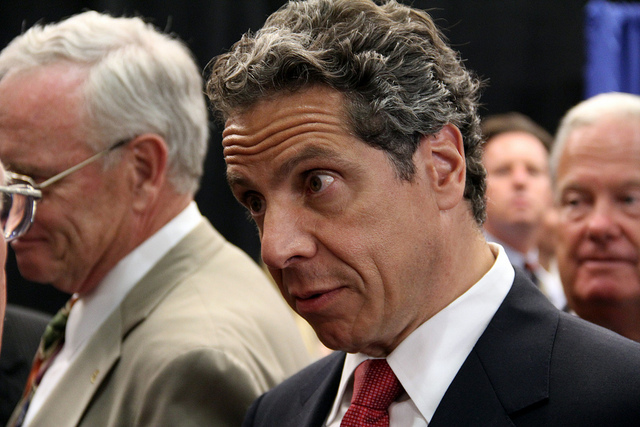 But if gains are to continue into the 2020s, it is becoming increasingly clear that it is time for New Yorkers to remove Governor Cuomo from Albany. His inaction is chiefly to blame for the problems surrounding the MTA, as well as other worsening issues, and if anything is a threat to the city’s real estate market, it is the worsening quality-of-life for everyday citizens that seems to be accelerating its downward spiral under his tenure. 3 Comments on "New York YIMBY’s 2018 Construction Report: New Building Applications Finally Stabilize After Two Years of Massive Drops"
Doubtful that Johnson will allow the council to override the local councilmember regarding zoning changes in their respective districts. That like declaring war on the City Council.